A ton of new smartphones have launched in the past few weeks – with two launching yesterday – and Ringke wants to make sure you have a case or two to protect your latest smartphone. So, it is discounting a number of cases via Amazon right now. Bringing these cases down to as low as $3.90, which is an absolute steal. Now, in order to get these cases for the prices mentioned below, you are going to need to select the one that is Ringke Store fulfilled and not fulfilled by Amazon, that means that you do give up the Amazon Prime 2-day shipping unfortunately. 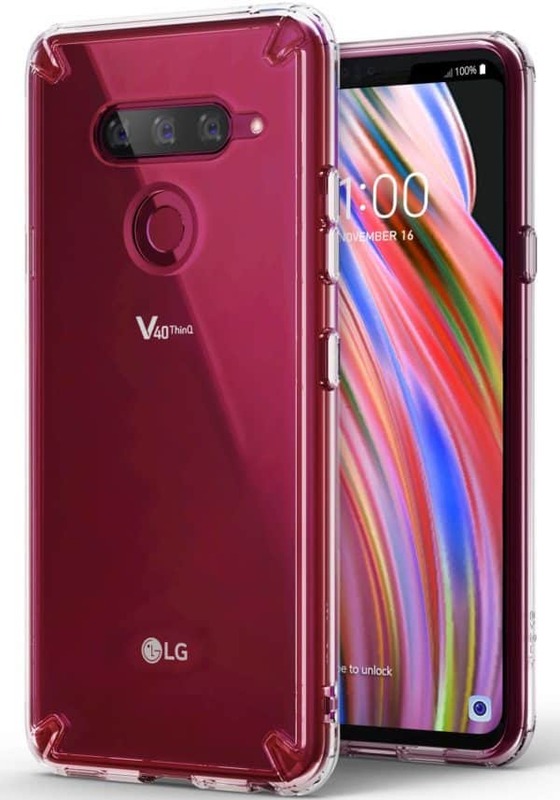 There are cases available for the LG V40 ThinQ, Google Pixel 3 and the Samsung Galaxy S9, Galaxy S9+. It’s unclear how long Ringke is going to be discounting these cases for, but it likely won’t be more than a few days, so you’re going to want to pick them up before they are gone. Ringke does generally discount cases like this after all the big fall releases come out, as they know people need cases and spending a few bucks on a new case is definitely better than spending $20 or more on a case. Especially since these will protect your smartphone as much as the $40+ cases out there from the likes of OtterBox, Zagg, Incipio and the many others. So you’ll want to take advantage of this sale while supplies last. First up is the LG V40 ThinQ. Here we have two cases available, there’s the Ringke Fusion case which is a clear case that has reinforced corners to protect it from any drops that might occur here. The Fusion is on sale for $3.90 when you use the promo code 2A59ZCK8 at checkout. Then there is the Onyx from Ringke which is available in black. It’s a TPU case with a brushed metal look and feel on the back that is going to provide you with some decent grip for the LG V40 ThinQ. This is important since the phone does have a glass back and is thus pretty slippery. The Onyx is also priced at $3.90 and make sure you use the promo code PAGX2R5Y at checkout. 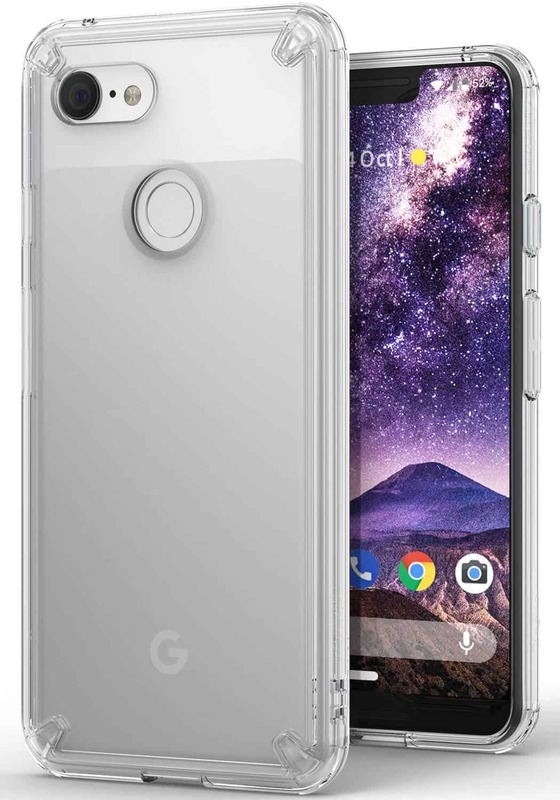 For Google Pixel 3 and Pixel 3 XL, there are also three cases available, the Fusion, Fusion-X and Onyx. There are separate codes for each model, so make sure you pay attention here. For the Fusion case, it’s a clear case with reinforced corners, the same as it is on the LG V40 ThinQ. It is priced at $3.96 for both smartphones, and the promo code for the Pixel 3 is MX6CIS57 while the Pixel 3 XL uses promo code FSUBZA47. Moving onto the Fusion-X, it’s a clear case, but with a thicker, black bumper around it. This has been military tested for being drop proof. So that you can drop this one and not worry about damaging the phone. This one is $3.90 for both Pixel 3 and Pixel 3 XL. The Pixel 3 Fusion-X promo code is J87PHWJR and for the Pixel 3 XL, it is EADC7XAY. Finally, we have the Onyx, which is essentially the same case as for the LG V40 ThinQ, it’s a black TPU case that looks really good on the Pixel 3 and Pixel 3 XL. It is $3.90 for the Pixel 3 with promo code 5HRCAK5S, and $3.96 for the Pixel 3 XL with promo code OOMLGSG5. For the Samsung Galaxy S9 and Galaxy S9+, Ringke is discounting its Slim and Air Prism cases. The Air Prism is available in Clear, Rose Gold and Ink Black colors. The slim case, as you might have expected from the name, is a very slim polycarbonate hard case from Ringke. It is a good looking case from Ringke and it does also offer some protection. Now with the Galaxy S9 and Galaxy S9 Plus sporting those curved displays, it won’t be as protective as some others out there, but it does its job. This is a good case to pick up if you want something that’s not going to add a lot of bulk to the Galaxy S9. The Slim case is priced at $3.90 for the Galaxy S9 with promo code YZY6574K, and the Galaxy S9 Plus uses promo code MXIZJIV4 and that is also priced at $3.90. When it comes to the Air Prism case, it’s a thin case that has a prism design etched in the back, which actually serves two purposes. This is going to make the case look rather cool (especially in the clear color) but also add some grip to the phone. Remember the Galaxy S9 and Galaxy S9+ both sport glass backs which makes them super slippery, unfortunately. Again, Ringke is selling these in Clear, Rose Gold and Ink Black, all for $3.90, and those promo codes for the Galaxy S9 are: clear – 5JVV2TQZ, rose gold – WGD3SOTZ, ink black – BA5E2JKS. 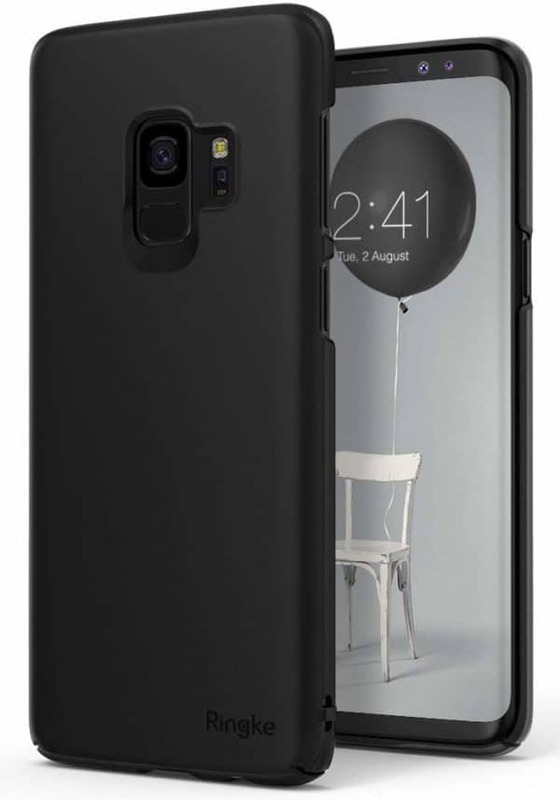 For the Galaxy S9+ they are: clear – GR7XJAXL, rose gold – S4RJJ5Y7, and ink black – 5VYZW7H4. These are not available for Amazon Prime free two-day shipping, but you can still sign up for Amazon Prime. Which includes free two-day shipping, and pretty cheap (usually $3.99) next-day shipping if you need it extra fast. However, if you are in one of the select areas that has Prime Now, this is also available and you can get it within a couple of hours, if you are in desperate need. If you are not an Amazon Prime member yet, you can sign up for a free trial of Amazon Prime. You’ll get 30 days free (if you’re a student, you get 6 months), and then it’s $119/year (or $59/year for students). Prime members do get a whole lot more than just free shipping though, so be sure to check out the full benefits. That includes Amazon Prime Video, Twitch Prime, and even some benefits at Whole Foods. You are reading an article on the Ringke Discounts LG V40 ThinQ, Google Pixel 3, Samsung Galaxy S9/S9+ Cases Starting At $3.90 w/ Code – October 2018. All materials on the site Gadgets F, а также и статья Ringke Discounts LG V40 ThinQ, Google Pixel 3, Samsung Galaxy S9/S9+ Cases Starting At $3.90 w/ Code – October 2018 - written for the purpose of information enrichment and we are happy if you like our magazine.